While discussing Darin Hinshaw’s importance to this year’s gridiron success in my first KSR post, I hit you with this little nugget of common sense: coaches make players better. Following that theme, let’s take a look at another key addition to this year’s coaching staff — Special Teams Coordinator (and inside linebackers coach) Matt House. When fans look back on missed opportunities last season, for some reason we often give special teams a free pass. The Cats were regularly beat in most every facet of special teams play last year, and it may have hurt much more than most of us think. It is not a stretch to say that for a UK team with a razor-thin margin of error, consistently losing the third phase of a football game could have cost UK at least one win, and thereby a bowl appearance, in 2015. Allow me to explain. First, there were way too many “what the heck are they doing” moments for the unit. The obvious low point for special teams last season was the infamous Vandy game. In that terrible loss the Cats both a) called timeout because they couldn’t line up properly for a punt, and b) took a delay of game penalty because only ten men lined up for a field goal attempt. No matter how vehemently Mark Stoops denied the chaos that at times enveloped the UK sideline, mistakes like these are a clear symptom of disorganization. At times it seemed as if no one was in charge of this entire portion of the game…BECAUSE NO ONE WAS IN CHARGE OF THIS ENTIRE PORTION OF THE GAME! Stoops opted to go without a coordinator last year, a move that was decidedly disastrous. After Stoops repeatedly told BBN leading up to the season that we did not need a STC, the Cats went out game after game and made their coach out to be a liar. Kentucky’s special teams were unorganized, undisciplined, and seemingly uninterested for much of the year. Without a leader, even Landon Foster — who for three seasons had been another glorious notch in the belt for “Punter U” in Lexington — was bad, particularly at key moments. The entire unit looked lost for much of 2015, and that is a direct reflection of a lack of management. If House just does what his title would suggest and coordinates the unit, they will be better than the dazed and confused version of special teams we saw last season. Dysfunction aside, there were plenty of routine special team issues as well. UK consistently lost the fight for field position thanks, in large part, to an onslaught of special teams miscues. Missed blocks, missed tackles, short kickoffs, shanked punts, undisciplined coverage teams, and yet another season of absolutely nothing from the return game — you name it and the Cats were guilty of it. These errors played a major role in UK losing the battle for what is commonly referred to as “hidden yards,” the yards that do not jump off the stat sheet but still have a profound impact on a game’s outcome. For an example, let’s look at average starting field position. Twelve of the fourteen SEC teams posted a positive average starting field position; UK had a -4.0 average starting field position. That means that the Cats gave their opponent four yards better field position on every possession. Four yards doesn’t seem like a lot, but extrapolate that over every drive of every game, and UK gave away approximately a zillion yards of field position over the course of 2015. Football is a game of inches, and we were giving them away 144 at a time. Matt House can help the Cats improve significantly by recovering some of these “hidden yards” on special teams in 2016. This year’s Kentucky Wildcats will again have no room for mistakes if they plan to play in the postseason. If UK wants to be decent this year, Matt House must field an organized, consistently solid special teams unit that does its part to protect field position. But if the Cats want to be good, House’s group must be more than solid — special teams will need to be, well, special. Commonwealth Stadium was once home to special teams giants like Moe Williams, Craig Yeast, Keenan Burton, Rafael Little, Dicky Lyons Jr, Randall Cobb, and Derek freakin’ Abney. Fans didn’t dare miss a single moment with those guys ready to receive a kick. Even Glenn Pakulak was must-watch action at UK – has any punter in history ever loved contact that much?! Kentucky’s special teams once produced fear in opposing coaches, even if the rest of the team did not always follow suit. That has not been the case thus far in the Mark Stoops era. If Matt House can make his unit dangerous again it will make the team as a whole a little more dangerous – and a lot more entertaining – on Saturdays this fall. *Disclaimer: This is neither an endorsement, nor an anti-endorsement, for The Donald’s presidential candidacy. Go Big Blue! 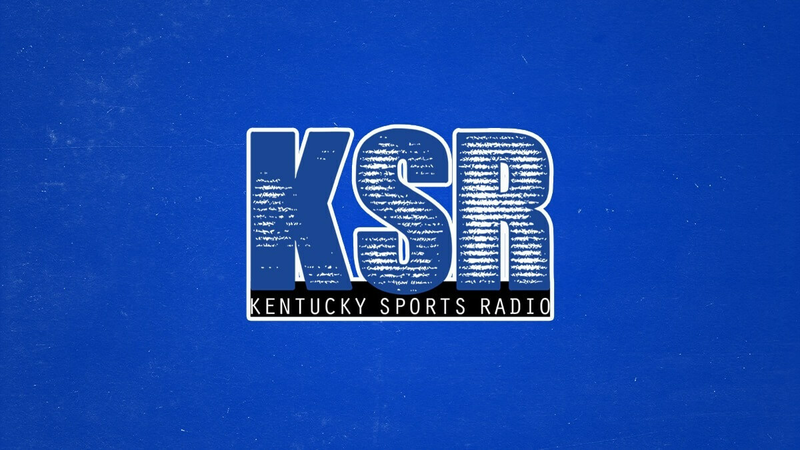 I’m surprised at the decidedly negative slant KSR has taken all of the sudden. I’m looking forward to the more well-rounded coverage. 2015 was a season defined by close games, the majority of which we lost. Field position alone could have made the difference in some of them games. When a team is so close to victory, any improvement anywhere could make the difference. Special teams are impacted by depth and getting kids who would prefer to play offense or defense to buy in. UK doesn’t have depth, and this coaching staff struggles to get kids to play hard at their primary position, much less on a punt team.